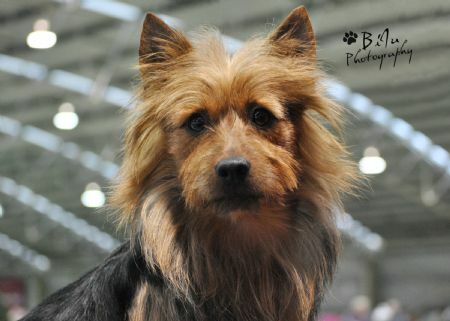 WELCOME TO THE WORLD OF AUSTRALIAN TERRIERS. This little terrier (affectionately known world wide as "The Aussie Terrier")(or more simply "the Aussie") is a very adaptable little dog, being at home in the city or the country. He is a very affectionate, loving animal who loves to please and be with you. Makes a great family pet . He is a low set, sturdy dog of approximately 25cm. in height. He has a harsh outer coat and a soft undercoat , Aussies come in 2 colours Blue&Tan or Red/Sandy . As with all terriers good secure fencing is required as their adventurous spirit will lead to them exploring if not contained.